Rare heterozygous variants in SMAD6 have been identified as a significant genetic contributor to bicuspid aortic valve-associated thoracic aortic aneurysm on one hand and non-syndromic midline craniosynostosis on the other. In this study, we report two individuals with biallelic missense variants in SMAD6 and a complex cardiac phenotype. Trio exome sequencing in Proband 1, a male who had aortic isthmus stenosis, revealed the homozygous SMAD6 variant p.(Ile466Thr). He also had mild intellectual disability and radio-ulnar synostosis. Proband 2 is a female who presented with a more severe cardiac phenotype with a dysplastic and stenotic pulmonary valve and dilated cardiomyopathy. In addition, she had vascular anomalies, including a stenotic left main coronary artery requiring a bypass procedure, narrowing of the proximal left pulmonary artery and a venous anomaly in the brain. Proband 2 has compound heterozygous SMAD6 missense variants, p.(Phe357Ile) and p.(Ser483Pro). Absence of these SMAD6 variants in the general population and high pathogenicity prediction scores suggest that these variants caused the probands’ phenotypes. This is further corroborated by cardiovascular anomalies and appendicular skeletal defects in Smad6-deficient mice. SMAD6 acts as an inhibitory SMAD and preferentially inhibits bone morphogenetic protein (BMP)-induced signaling. Our data suggest that biallelic variants in SMAD6 may affect the inhibitory activity of SMAD6 and cause enhanced BMP signaling underlying the cardiovascular anomalies and possibly other clinical features in the two probands. The online version of this article ( https://doi.org/10.1007/s00439-019-02011-x) contains supplementary material, which is available to authorized users. We thank the two probands and family members for their participation in this study and Inka Jantke for skillful technical assistance. This work was supported by a grant from the Deutsche Forschungsgemeinschaft (KU 1240/10-1 to Ke.K.). 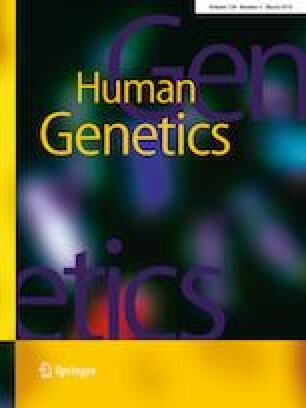 J.J. is an employee of GeneDx, Inc. All other authors declare no competing interests.